Features you want for every budget. Every OwnerGo plan includes a wide array of features to get your community started. What's more, when you are ready to grow, we're there for you with additional features available at low monthly rates. All the features below are included as standard features in all OwnerGo plans, including the free option. For communities which allow owners to lease their units, this feature will automatically manage the active and wait lists for leasing. Owners authorized for leasing are required to upload their leases to the site, which property managers can review and approve. Allow everyone to see future and past events in the community. You can even download events to your smartphone calendar or Microsoft Outlook(t). Keep track of which residents are on amenity restriction and who is suspected of illegally renting their unit. Residents can register their vehicles with the association, and management or employees can use that information when enforcing parking. Tow and parking incident log is included. Owners can submit architectural requests, including pictures and other detailed information, for manager and board approval. Previous requests are visible in each unit profile. With the click of your mouse, send mass messages through the postal service for a low rate per letter. Choose from letter or postcard. Send various groups of people mass email messages. Each message can include pictures and stylized text, and you can even track when a resident reads your messages. If your call box or access system is compatible, you can setup automation with OwnerGo to allow residents to manage their call box entry or view their access cards. Enter the meeting minutes on the site for owners to be able to read at their leisure. You will have the ability to link certain payment services to the site for residents to make payments to the association. Allow employees to associate numbered registration stickers on bicycles to an individual unit or tenant. Residents may submit work orders. Problems can be easily managed and owners may collaborate on maintenance issues using the tool. Owners can view the community documents, including the covenants, the declaration, and rules and regulations. Allow owners or the board to contact other residents through the site. Board members and the property manager can see detailed information on each unit. Allow residents to recommend contractors by setting up unique forums for a specific topic. Allow residents to reserve individual amenities on the property. The tool displays instructions for deposits and fees, if they are required, and shows a calendar showing availability. Create a button in each unit profile to the assessor's website, showing the official county or city owner record for the unit. This may be useful in auditing the ownership of a unit. Send violations to owners or groups of owners in a snap with the Violations tool. Use previous notices as templates. Easily login to OwnerGo with an encrypted icon on your mobile phone's home screen. Integrate file sharing services such as Box and Google Drive. Online help guides and videos help answer your questions. The work order tool can be used to request bids from vendors, and vendors may access their portal to review, update, and submit bids, if requested, for their tickets. Managers can customize tabbed pages that relay all kinds of community information to residents. Send surveys to your residents and tabulate the results real time in the communications tool. 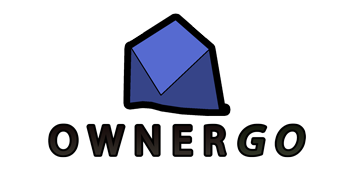 Enter your reserve studies into OwnerGo to keep track of your target and current reserves levels. OwnerGo Horizon has the best value in the property management website industry. Choose our value-packed premium package, or sign up for individual features individually when you need them. On top of all the written support resources available online, you will be able to email our support personnel with questions about your community, or help answer questions pertaining to usage of the site. PackagePad support is separate from this service. Want to have professionals setup your community site, including uploading your documents, leasing lists, and unit information? We can take all the guess-work out of the setup. Want to have your own domain name for your landing page? http://yourcommunity.com. Point your existing domain to our server, or have us reserve a domain for you. The 'community landing page' service is required when subscribing to this service. Want our professional web designer to create a custom web page for your community? Contact us for more information. Want to customize the website or have our staff automate certain functions? Contact us today with your business needs. Want us to go into the database and back out an expired lease or an owner who has lost their leasing privileges? While it's not advisable to bend the rules for individual owners, we can make adjustments to the database when the need arises. Contact us below with your business needs. Mail your residents important notices in the mail for one low price per piece. We handle the postage and delivery to the post office for you. Need to send an additional message beyond your monthly community quota? Send additional messages for one low price. Give your community a presence on the Internet with a custom landing page you design with your own pictures. Your page can be found on search engines such as Google. Customers using the Standard Support plan may contact us with any questions they may have.